Bulland Group believes in stepping into the hearts of their clientele by always and consistently meeting their expectations. This group has been into the business of real-estate since 2001 and has already delivered a number of successful and widely appreciated projects. Bulland Group is dedicated to the construction of residential projects and further into commercial projects at Ghaziabad and its adjoining areas like Indirapuram, Vaishali and Kaushambi that are deemed to be the up and coming places within the NCR. With its offices located at Vaishali, Bulland Group plans to expand its construction project up to other regions within the capital. With a dictum derived from customer satisfaction by turning their dreams into reality, the group has been working in the direction of achieving their mission since their first project that was widely commended. The group is so customer oriented that they invite their clientele to be a part of the designing and construction process in order to take care of their individual needs. 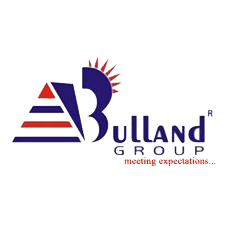 Bulland Group is a collective of an ambitious and forward looking team of professionals from different walks of life who ultimately make this group what it is. Their aims are to add the best of values to all their endeavours in order to gain the most the investment of time and other valuable resources. All the success that the group has achieved has been possible because the teams understand the value of time, cost and quality.